During my lunch break at work I use to visit both the web site dissapore.com and the web site of the great Luciano Pignataro. 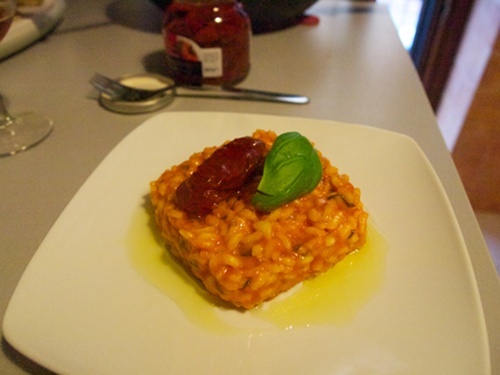 On Pignataro's site I found today the recipe of the Tomato Risotto and I immediately felt in my mouth the taste and the desire for that dish and as soon as I got home I started looking for the ingredients in order to prepare it. I was just afraid I didn't have any Pachino tomatoes, but fortunately Romina had bought them this morning. First of all cut in half the Pachino tomatoes and boil them with water and a drop of olive oil at a low flame for 15 minutes. 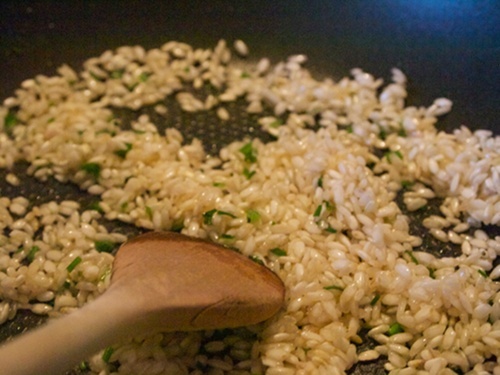 Take 70 gr of Carnaroli rice for each person and roast it in a wok with some olive oil and finely cut chives. 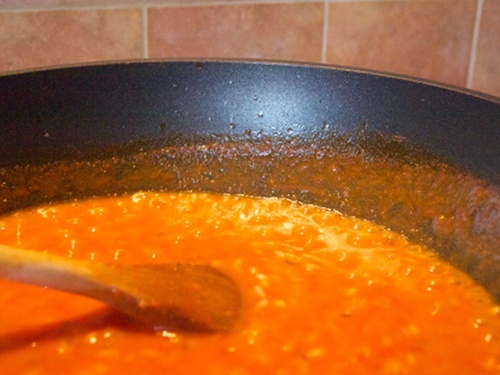 Because we really want to get the real Neapolitan taste, we are not using any broth, but we will cook the rice just by adding plain water with a spoon of coarse salt, a chilli pepper and 1/4 of onion. Now take away the Pachino tomatoes from the fire, put them through the masher and then end up cooking them with the rice in a saucepan with some salt for 5 minutes; as soon as the cooking water has completely dried, add two fistfuls of grated Parmigiano cheese, blend the sauce keeping the flame low, add some tomato sauce and cook for other 10 minutes without forgetting to mingle now and then. 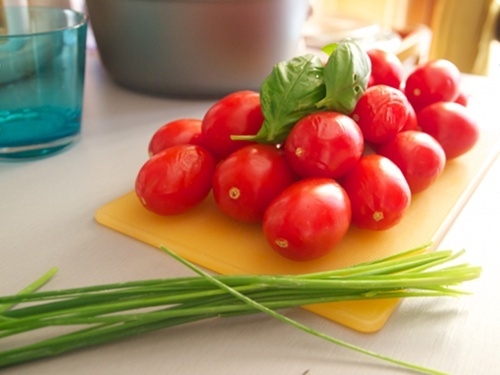 Now prepare the dish and the food shape, put the risotto into the shape by using a spoon, decorate it with a fresh basil leave and a dried tomato preserved in oil. Then add some olive oil and serve it. 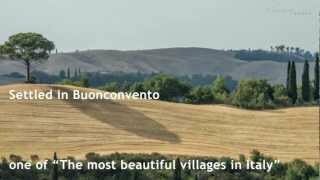 Guest Post by Dario Pacifici, a roman blogger gourmet. He runs the blog Abbuffone.it with his wife Romina Russo, where they share national and international culinary culture.